Construction continues in Downtown Bangor in this Oct. 10 photo. I urge Maine people to support Question 2 on Nov. 6. This bond will provide $30 million in badly needed funding to support Maine’s wastewater infrastructure. As the superintendent of the Lewiston-Auburn Water Pollution Control Authority, I know firsthand the challenges of properly maintaining these systems. Treatment facilities and pump stations must be upgraded or replaced every 30 to 40 years. Sewer lines have a longer life, but many in Maine are more than a century old. As a result, Maine wastewater systems have a backlog of needed projects totaling more than $1 billion. The $30 million provided by this bond will be combined with federal, state and local funds to leverage many times that in new investment. Estimates are that 540 jobs will be created to implement these projects. The benefits will flow throughout the state to many of the 162 municipal or quasi-municipal wastewater treatment systems in Maine. They serve communities from Kittery to Fort Kent, Calais to Rangeley. Maine’s beautiful and healthy waters are a big part of what makes Maine special. Maintaining water treatment systems is something about which every Maine person should care. Properly treating wastewater is essential to protect public health by keeping groundwater, streams, rivers and the coastline clean. Supporting Question 2 is the right thing to do for Maine’s environment and its economy. Wastewater systems are essential for economic growth. Medium- and large-size projects are almost always in locations with access to dependable wastewater services. Septic systems are not viable for larger projects. Maintaining wastewater systems is essential to keep current businesses and attract new ones. 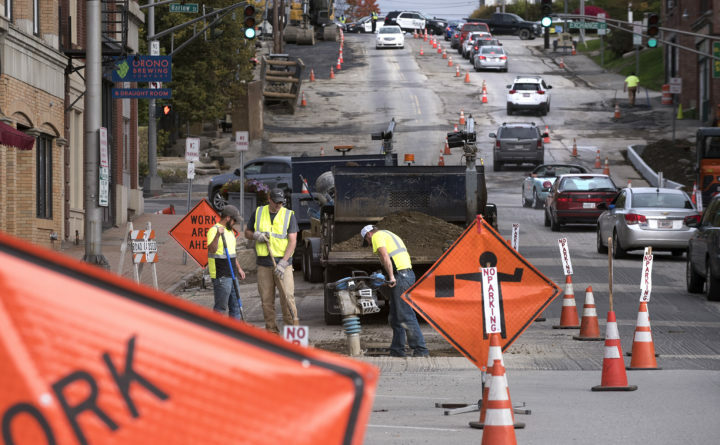 Without proper maintenance, older systems will fail, causing huge disruptions for thousands of people, as Bangor residents and business owners know all too well. The discharge of untreated sewage can contaminate groundwater and threaten drinking water supplies. Repairing damage after an event like this is always more expensive than replacing old pipes before they fail. Question 2 will fund that kind of preventive maintenance. Jay and Livermore Falls are currently replacing the sludge holding tank and other equipment at their treatment facility because the old equipment, originally installed in 1970 and 1971, failed. This and a new pumping station will eliminate an existing discharge into 7 Mile Stream and save $100,000 a year in operating costs. Another problem is the release of untreated sewage during extreme rainfall events. Many systems do not have the capacity to handle all of the water collected in a major rainstorm and must release rain and sewage together. Such events are known as combined sewer overflows. Portland is in the middle of a decades-long project to reduce discharges into Casco Bay, which includes replacing aging pipe, installing separate stormwater pipes and additional storage tanks. Bangor has two projects in the works to address overflows into the Penobscot River and Kenduskeag Stream. Similar improvements are needed statewide. Question 2 will help fund them. The American Society of Civil Engineers of Maine gave Maine’s wastewater infrastructure a grade of D+ in its most recent report card. The Maine Department of Environmental Protection has catalogued the condition of systems statewide and has identified the $1 billion in statewide needs. In addition to upgrades to major wastewater systems, Question 2 will provide $2 million to repair broken septic systems and $350,000 for failed household disposal systems. DEP will target these funds on projects that will have the greatest impact on water quality, including discharges affecting coastal clam flats. While protecting the environment and supporting larger economic growth, Question 2 will put clammers back to work. Sen. Edmund Muskie was instrumental in the passage of the federal Clean Water Act in 1972. Maine rivers were essentially open sewers in many places, and communities literally turned their backs on local rivers. Today, communities from Biddeford to Bangor are bringing people to their riverfronts and waterfronts for music, fine dining and more. Today Maine businesses, residents and tourists are attracted to waterfronts, and these desirable locations are spurring economic growth in our state. Maine waterways have come a long way in the past 46 years, but we cannot take that progress for granted. Please vote for Question 2 on Nov. 6. Clayton M. Richardson is the superintendent of the Lewiston-Auburn Water Pollution Control Authority.